A language is a complex system for communication that can be broken down on many levels, but which level should you focus on and why? To make it even more interesting, Chinese has an additional layer that most other languages lack. Let’s look at these layers and see what they’re good for. Learning character components helps you learn other characters, both in that it reduces learning new characters to recombining units you’re already familiar with and in that it’s necessary to be familiar with components to understand how characters really work. Learning individual characters is one step closer to communication in that most characters are included in words because of what they mean (as opposed to how they are pronounced), so it makes it a lot easier to learn complex words. Naturally, some characters are used individually as words, so those are already useful for communication on their own. Words make up the most important layer, especially for spoken communication. You can say something without knowing the constituent characters or their components. You can communicate some things only using words too. Learning words is important, but learning the right words is too. Phrases are what people normally use to communicate and being able to string together words in a meaningful way is of course necessary to communicate beyond very basic things. This involves knowledge of words and how they are used, but it also requires knowledge of grammar, especially word order. In a previous article, I looked at components, characters and words, discussing how and if much you should break things down. In essence, the more you break them down, the more you can understand and the more you prepare yourself for learning even more. However, in doing so, you also spend time on learning things that aren’t immediately useful for communicating in the language. It’s a long-term investment, if you will. In this article, I want to turn to the remaining two layers, namely words and phrases. There is a divide between people who advocate learning tons of words and people who are equally enthusiastic about focusing phrases instead. Naturally, most people do both, but differ mainly in how strongly they lean towards one side. Just to be clear, when I say “phrase”, I mean anything longer than a single word, including full sentences. Below, I’ll argue or each case and point out in what situations it makes sense to focus on each layer. 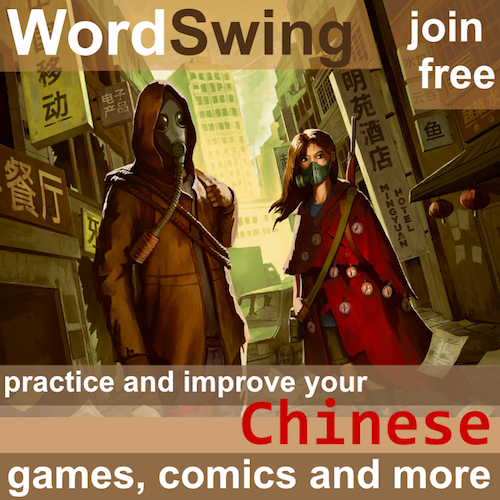 Should you focus on learning Chinese words or sentences? Focusing on words seems to be ingrained in most language learners and there is a strong tendency in educational settings to learn and review words, perhaps because they are easy to test and can serve as a proxy for what you’ve learnt in general. However, there are also clear benefits with focusing on words over longer chunks. Naturally, there are also numerous good arguments in the other direction. Words are convenient to learn and review, phrases are not. This might sound like an argument for the lazy, but it really isn’t. When you learn a language, you want to spend as much time as possible actually learning the language, not trying to find the right things to learn. Words are easy to find because they are in dictionaries, test preparation lists, textbooks and so on. You can also find definitions, translations and audio without too much hassle. None of this is straightforward for phrases. While you can probably trust textbooks to be more or less accurate, just grabbing random sentences off the internet is seldom a good idea. If you write them yourself, you have to check them with a native speaker, and while you can synthesise audio, you normally can’t find natural audio recordings of phrases. Words are faster and more efficient to review. I used to focus a lot on single words for the simple reason that it allowed me to review a very large number of words quickly. A tenet of spaced repetition software (SRS) is that each flashcard should focus on as small parts of what you’re trying to learn as possible. If you do this, you’ll be able to find the things you actually need to review and focus on those, but the things you don’t need will be pushed far into the future. Each review is also very quick compared to reviewing a phrase, even if a phrase could potentially include more than one thing worthy of reviewing. Words are very productive, phrases not so much. What I mean by this is that focusing on words, which are the building blocks of phrases, you can produce an infinite number of phrases in the language. If you focus too much on phrases, you will know how to say things covered by those phrases, but not much beyond that. A more balanced approach would enable you to substitute parts of phrases with words you have learnt. Phrases are immediately useful, most words aren’t (at least not on their own). 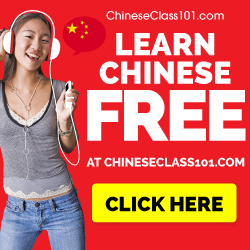 If you just started learning Chinese, memorising a few dozen key phrases will help you accomplish a lot of things in the language, including a range of everyday tasks you need, especially if you live in a Chinese-speaking environment. Single words rarely accomplish this and simply piling words on top of each other in a random order will seldom work. Phrases include grammar and word usage, single words don’t. While it’s undoubtedly true that learning ten words is much faster than learning ten phrases, the latter include much more information, especially about word order and collocations. For advanced learners, this isn’t necessarily a problem, because we already have a good grasp of grammar and word usage, but for beginner and intermediate learners, knowing how to translate something into the proper word in Chinese is not enough to be able to use it. Phrases better represent natural language usage. Reviewing phrases in text or audio is close to ordinary reading and listening practice. While it can be argued that learning to recognise single characters and words does boost reading ability, reading longer chunks is definitely a lot closer to actual reading. This goes for listening as well. If you think it makes to focus on a lot of input, then focusing on longer chunks makes more sense than breaking things down to single words and characters. There are probably more advantages and disadvantages with focusing on either words or phrases, so if you think I’ve missed something important, why don’t you leave a comment? Looking at the above discussions, the answer to the question which you should focus on isn’t obvious; it depends a lot on how those advantages and disadvantages apply to your learning situation. For example, if you have access to high-quality sentences with audio, then the argument about convenience doesn’t apply as much. Likewise, if you add notes about collocations and context to single-word flashcards, they are much closer to being directly useful. Naturally, we are talking about a spectrum here; no-one is focusing on only words and no-one is focusing on only phrases. The question is where on the spectrum you place yourself. In my opinion, this depends a lot on proficiency level. As a beginner, you absolutely have to focus on phrases for the simple reason that if you don’t, you will struggle to communicate at all. You need phrases to cement basic word order, which is not as easy as some beginner textbooks make it look. If you can learn the key vocabulary in phrases that you can use, there really is no reason not to. When you leave the beginner stage and know enough to start producing your own sentences, you need tons and tons of words. If you have already internalised word order rules, you don’t really need an example sentence to learn more nouns. In cases where a word is used exactly as you expect it to, you don’t need to waste time finding, verifying and reviewing a whole chunk. 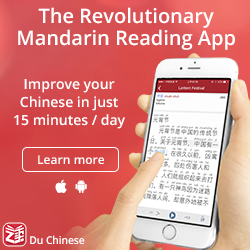 Also, remember that even if you might not need tens of thousands of words to speak Chinese well, you definitely need a huge amount to listen and read! Naturally, there are many cases where you still need sentences. My advice is, for each thing you want to learn, to ask yourself what it is you want to learn. If the answer is that you want to learn how to say X in Chinese, where X is just a word, then just learn the word. If the answer is related to word usage, grammar, sentence patterns or anything like that, add a phrase that highlights this. Then, at some kind of advanced level, you reach some kind of calm bay beyond the vocabulary storm. Nowadays, I don’t feel lack of vocabulary is a serious problem, but I still have a lot to learn when it comes to how words are used, which words they go together with and what connotations go with them. These things are usually best illustrated with phrases. There will of course always be words I don’t know, but I don’t think that’s what keeping me back. 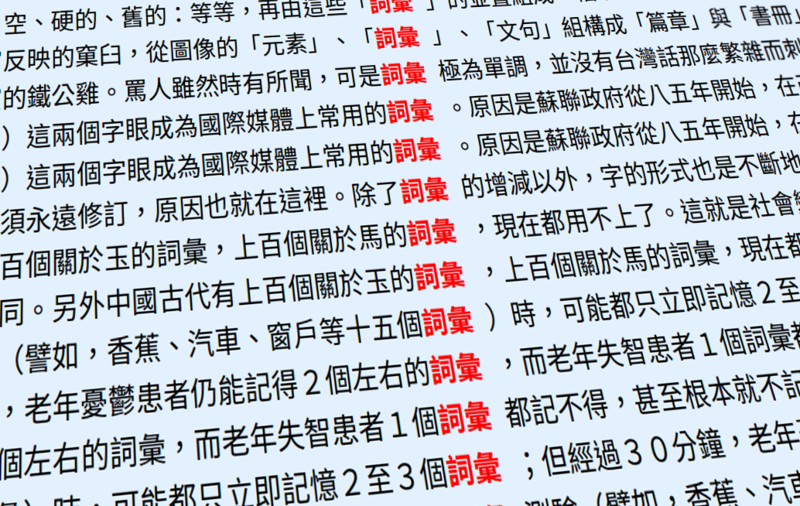 This article reflects ten years of learning Chinese, thinking about this problem, discussing it with others, teaching the language and exploring the available research. However, I’m sure I’ve missed something, and it would be strange if all of you agree completely with what I’m saying. So, what do you think? Leave a comment below! I always did a mix in my Anki–words, especially if they’re not derived from your real-life Chinese usage are often misleading. You may learn a word and start using it, only to realize it isn’t used in the way you thought. Phrases without words, however, are sometimes harder to recall since the word is remembered embedded within a sentence. A mixture can definitely help–a word for memory + a phrase or two for context. You should also learn structures and phrases from the beginning. Then you can substitute words. If you don’t how the Chinese sentences are built and how grammar works, you cannot build any sentences. Words are useless if you do not how to use them in a sentence. If you know some basic structures, you can learn more and more words and use them in this context. 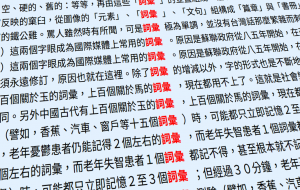 HSK standard course focuses on structures and grammar and does not have enough vocabulary. It is advisable to learn additional words to use them accordingly. This brings up an important point. As I said in the article, once you have basic grammar and word order down, the need to fill that with actual words sky rockets, especially for reading comprehension. However, most words are much easier to learn than most grammar, i.e. in a formal course, it makes sense for teachers to focus on the parts that are hard for the students to do on their own. This naturally includes words too, but learning the basic meaning of many words is considerably easier than understanding how grammar works. I wrote a post on my blog http://www.talkingmandarin.com about learning Chinese through immersion. I’d love to hear your guys’s thoughts! I would suggest focusing more on words or phrases depending on the situation, since activating certain new words in their colloquial “real world” setting to me seems more difficult than others. Learning phrases is the most important way to learn words. I feel I don’t fully understand a word until I learn a phrase that uses the word. When you study words in isolation, what are you doing? 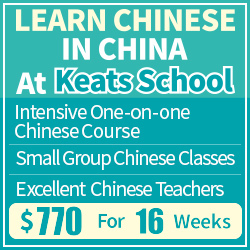 You are studying a mapping from English to Chinese and Chinese to English. Is that really understanding the word? Mapping to English is not how I want to listen, and mapping from English is not how I want to speak. Secondly, I find that learning phrases is a powerful memory aid. Words are much easier to remember after studying both the word and an example phrase. Whenever I forget a word that I once knew, I add a new example phrase to my Anki deck. Good sources of recorded example phrases are Chinesepod and Spoonfed Chinese. Omar Khudari already briefly mentioned the Spoonfed Chinese deck just above. I’d like to second his suggestion and say that this deck is indeed a great source of Chinese sentences with audio. I’m using this deck right now and I’m greatly satisfied with it. The audio recordings are read by many voices, male and female, so it’s a pleasant variety. Some sentences are too easy for me at my current level, so I just excluded them from reviews, but the rest of the sentences are very useful.